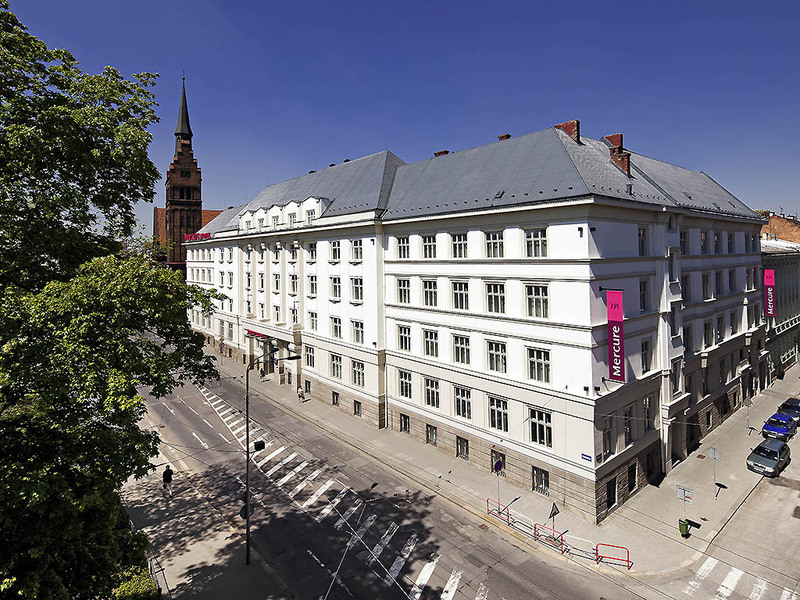 Mercure Ostrava Center is a brand new 4-star hotel in Ostrava city center, with 139 rooms, a restaurant, bar, summer terrace, fitness area with a steam bath and excellent meeting facilities fully equipped with state-of-the-art technology. The hotel is 10 minutes from the central station and within walking distance of the cultural and commercial districts of the city as well as the famous "Stodolni" street. 139 designed rooms offer all you expect from a modern four star hotel. In Standard room category you can enjoy tea and coffee-making facilities, air-conditioning, high-speed Internet, a laptop size safe, minibar and LCD television. Privilege Superior or Privilege Suite rooms are larger-sized rooms with all the facilities mentioned above and on the top of this you will have access to the Privilege Lounge. This unique area was designed especially for relaxation and well-being purposes. WINESTONE® is a brand new restaurant concept. It is aimed particularly at creating an attractive culinary experience provided by a menu composed of high quality dishes and excellent wines served in a creative way.